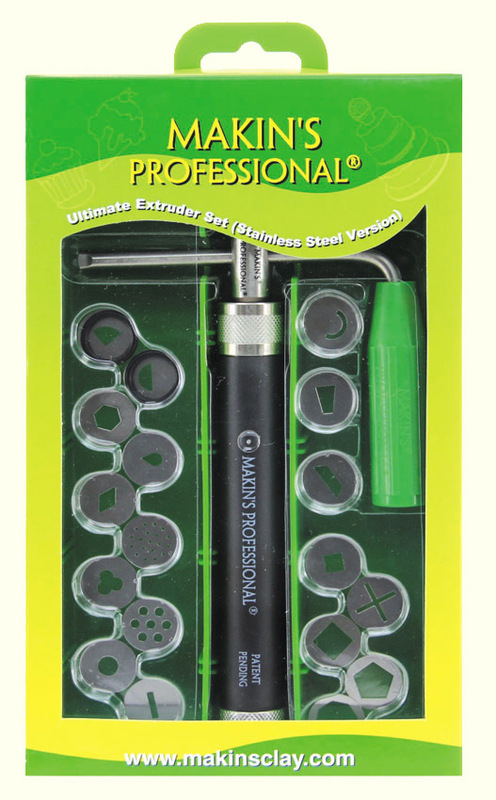 The "Makin's Professional® Ultimate Extruder Set" combines the next generation of the Makin's® patented screw-type extruder, 20 popular disc designs and 2 extra O-rings in a convenient and secure storage case. The new commercial grade stainless steel extruder incorporates an L-shaped handle with ergonomic grip that can be adjusted to optimize user's comfort, control and torque requirements. 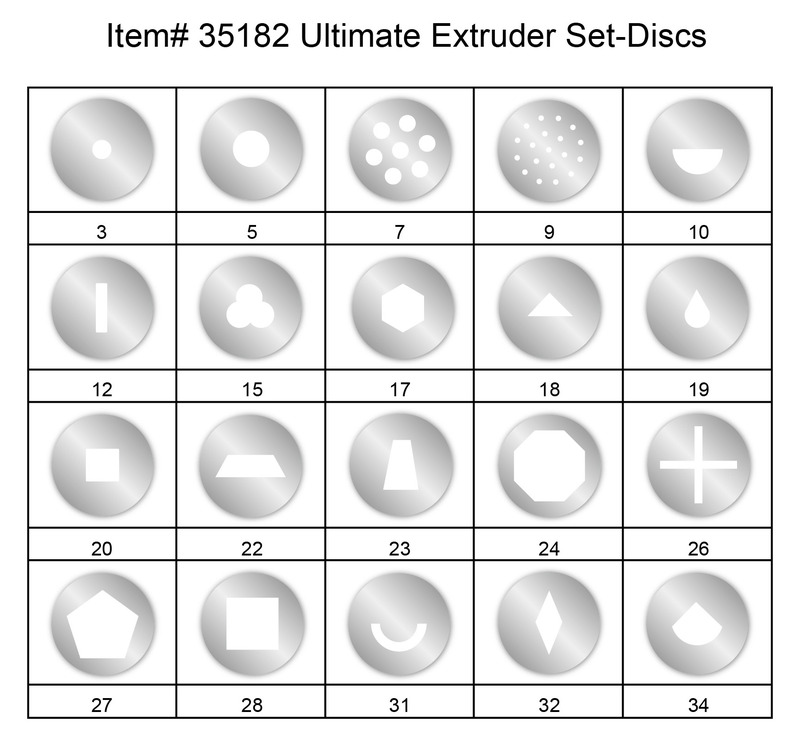 The discs included are an assortment of designs frequently used by artists when creating geometric embellishments and complex armatures. The durable case has an easy-accessible resting place for the extruder, ten separators which keep extruder accessories organized in individual storage compartments, a clear see-through top and a double latch locking mechanism. The Makin's® extruder has been accepted in the polymer clay, cake decorating and other industries world-wide as being very durable and designed to meet the diverse applications of professionals working with various types of modeling mediums. For best results thoroughly condition modeling medium to achieve a malleable consistency.